Wayne Taylor Racing has officially confirmed Toyota World Endurance Championship regulars Fernando Alonso and Kamui Kobayashi will both join its 2019 Rolex 24 line-up. 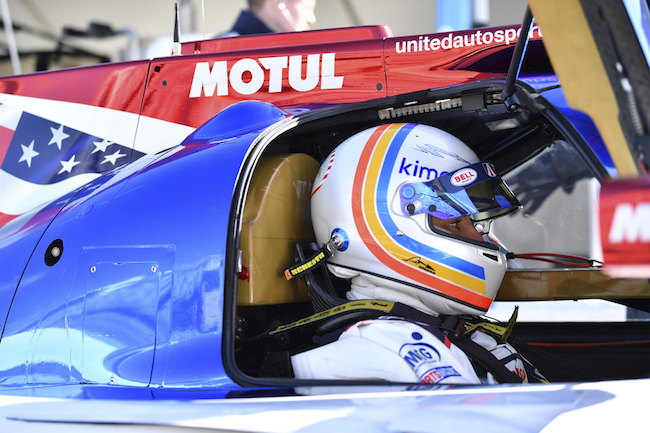 The pair former Formula 1 drivers will partner with the team’s full-time co-drivers Jordan Taylor and Renger van der Zande in the No.10 Konica Minolta Cadillac DPi-V.R. The move sees IndyCar veteran Ryan Hunter-Reay left on the sidelines after he joined the team for the endurance races at Daytona, Sebring and Road Atlanta in 2018. It will be the second consecutive Rolex 24 appearance for Alonso, who just retired from F1 on Sunday, and marks his second confirmed outing of 2019 alongside his planned return to the Indianapolis 500 in May. “This is undoubtedly one of the greatest races in American and world motorsport. Returning to the United States is always special. The atmosphere created by the fans is unique throughout an incredible weekend. I really hope to fight for the win, as well as having fun and putting a smile on the fans’ faces,” said Alonso in a statement released by the team. Kobayashi, who has never actually raced sportscars in the US, spent the better part of 5 years in F1 and was known for his daring overtakes and car control. He has a good chance of tasting success on his debut having joined Wayne Taylor Racing. A team that’s reeled off five consecutive race-day podiums in the Rolex 24, culminating with victory in 2017. For his part, the talented Jordan Taylor is really excited to share the cockpit with a pair of international hot shoes. “I think we are bringing in two of the top drivers not just in sportscars but in the world of motorsport. Fernando is one of the most-respected and highly rated drivers of our time, and Kamui has been one of the top sportscar drivers over the past few years and the current lap-record holder at Le Mans,” said Taylor in a statement. Wayne Taylor Racing has previously recruited other high-profile drivers for the Rolex 24, such as four-time NASCAR champion Jeff Gordon in 2017. WTR won the race that year overall.